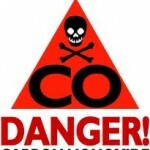 Carbon monoxide (CO), is a colorless, odorless and tasteless gas which moves with air. It is highly toxic to humans and animals in higher quantities, although it is also produced in normal animal metabolism in low quantities, and is thought to have some normal biological functions. It consists of one carbon atom and one oxygen atom, connected by a triple bond which consists of two covalent bonds as well as one dative covalent bond. It is the simplest oxocarbon, and is an anhydride of formic acid. Because CO is impossible to see, taste, or smell the toxic fumes, CO can kill you before you are aware it is in your home. At lower levels of exposure, CO causes mild effects that are often mistaken for the flu. These symptoms include headaches, dizziness, disorientation, nausea and fatigue. The effects of CO exposure can vary greatly from person to person depending on age, overall health and the concentration and length of exposure. Average levels in homes without gas stoves vary from 0.5 to 5 parts per million (ppm). Levels near properly adjusted gas stoves are often 5 to 15 ppm and those near poorly adjusted stoves may be 30 ppm or higher. We recommend using an exhaust vent anytime you have a gas stove on to remove CO and other unburned gasses from the home. •Keep gas appliances properly adjusted. 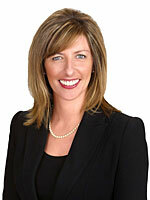 •Consider purchasing a vented space heater when replacing an unvented one. •Use proper fuel in kerosene space heaters. •Install and use an exhaust fan vented to outdoors over gas stoves. •Open flues when fireplaces are in use. •Choose properly sized wood stoves that are certified to meet EPA emission standards. Make certain that doors on all wood stoves fit tightly. •Have a trained professional inspect, clean, and tune-up central heating system (furnaces, flues, and chimneys) annually. Repair any leaks promptly. •Do not idle the car inside garage. The OSHA standard for workers is no more than 50 ppm for 1 hour of exposure. The National Institute for Occupational Safety and Health (NIOSH) recommends no more than 35 ppm for 1 hour. The U.S. National Ambient Air Quality Standards for CO (established in 1985) are 9 ppm for 8 hours and 35 ppm for 1 hour. The Consumer Product Safety Commission recommends levels not to exceed 15 ppm for 1 hour or 25 ppm for 8 hours. The EPA set two national health protection standards for CO: a one-hour standard of 35 parts per million and an eight-hour standard of 9 parts per million. Across the nation, air quality stations measure the levels of CO and other pollutants in the air. These measurements are compared to the standards. Areas that have CO levels that are too high must develop and carry out plans to reduce CO emissions. Reducing emissions of CO is an important part of EPA’s strategy for cleaner air. The U.S. Environmental Protection Agency (EPA), states, and local governments work as partners to reduce emissions of CO. EPA’s main approaches to reduce CO have been to establish national ambient air quality standards, to require national controls for motor vehicle emissions, and to require reductions from large industrial facilities. For healthy adults, CO becomes toxic when it reaches a level higher than 50 ppm (parts per million) with continuous exposure over an eight hour period. When the level of CO becomes higher than that, a person will suffer from symptoms of exposure. Mild exposure over a few hours (a CO level between 70 ppm and 100 ppm) include flu-like symptoms such as headaches, sore eyes and a runny nose. Medium exposure (a CO level between 150 ppm to 300 ppm) will produce dizziness, drowsiness and vomiting. Extreme exposure (a CO level of 400 ppm and higher) will result in unconsciousness, brain damage and death. •Have a qualified technician install and regularly inspect all fuel burning appliances. •Regularly inspect fireplaces and chimneys to insure proper ventilation. •Never use a gas or charcoal barbeque indoors. •Never start a car or gas run lawnmower or snow blower in a closed garage. 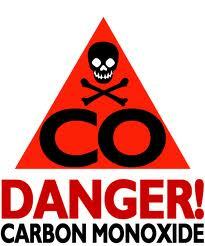 •Install a carbon monoxide detector in your home. The U.S. Consumer Product Safety Commission recommends that a carbon monoxide detector be installed outside bedrooms. If the home has separate sleeping areas, a detector should be placed in each area. It is also recommended that one carbon monoxide detector should be installed on each level of the house. And for split-bedroom arrangements, the detector should be placed in a common area where everyone can hear the alarm. Many of the detectors are able to be plugged into an electrical outlet; others are wall or ceiling mounted. As CO moves with air, it is affected by furnace supply and return vents, windows, exhaust vents in the home, and natural air flow or draw. In determining the best location and type of CO detector you should examine the area for obstructions and best possible air flow. CO detectors do not operate well if air is not moving by the device. Ceiling units should be placed with care, as hot air rises in the home, the hot air packs densely at the ceiling, making it difficult for CO to pass through the air and pass to the devises sensor. Steel Rhino recommends that flat ceilings not have a CO detector on the ceiling but instead mounted not closer to the ceiling than 7” below the ceiling level. Household chemicals should be stored at least 5 feet away from the detectors to prevent damage to the alarm. You should also locate the detector away from fuel-burning appliances, gas and wood-burning stoves or engines to prevent the alarm from being accidentally triggered. The Occupational Safety and Health Administration and the Environmental Protection Agency suggest that an exposure to between 9 and 50 ppm for up to eight hours every twelve months can be considered safe for healthy adults. Similarly, according to the Consumer Product Safety Commission, most healthy adults will not experience any symptoms from prolonged exposure to CO levels of approximately 1 to 70 ppm, but as CO levels rise to above 70 ppm, flu-like symptoms will become apparent. Concentration levels above 150 ppm can cause disorientation, unconsciousness and death, as well as long-term neurological effects. It’s important to note that this standard is based on the likelihood of CO poisoning symptoms in an average healthy adult. •Do a little research before you make a purchase. Not all CO detectors are the same; some are demonstrably better than others. •Don’t base your selection solely on the item’s cost. •Don’t be quick to decide that your CO detector is malfunctioning if the alarm goes off occasionally. Instead, have your furnace checked before you return the device to the store where you purchased it. •If your alarm sounds and an HVAC dealer or other professional tells you it’s not your furnace or water heater, get a second opinion. Not all service technicians have the proper testing equipment.